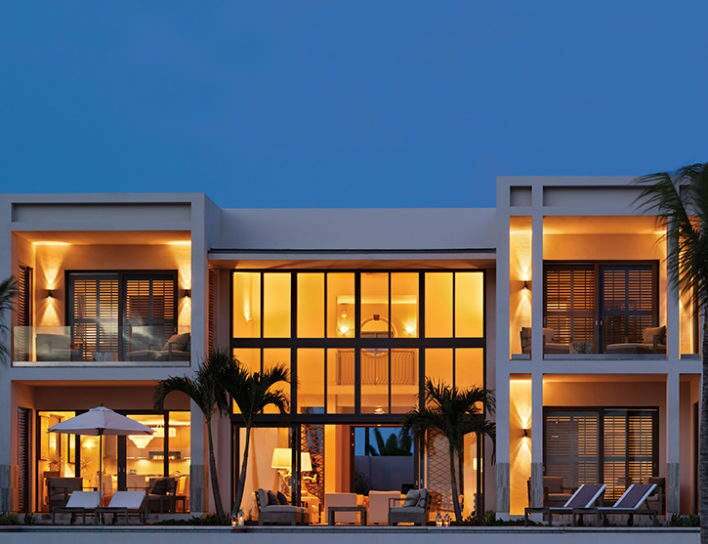 Stationed on Anguilla’s Little Harbor, Le Bleu is the perfect vacation home to get away from it all. 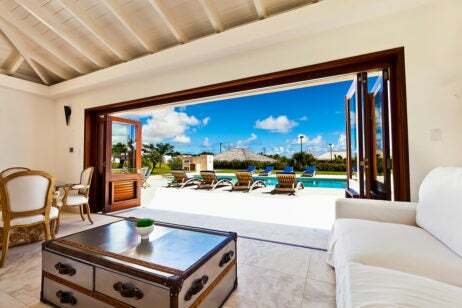 The spectacular views of the Caribbean Sea can be enjoyed from the villa’s south-facing bedrooms with doors that open up to the sunny setting. Its second-level deck has a swimming pool that also looks out onto the clear turquoise waters. When you stroll across the lawn and down the stone staircase towards the sand, you’ll find our favorite feature: a snug and quiet rock-surrounded, toes-in-the-water, private beach cove. 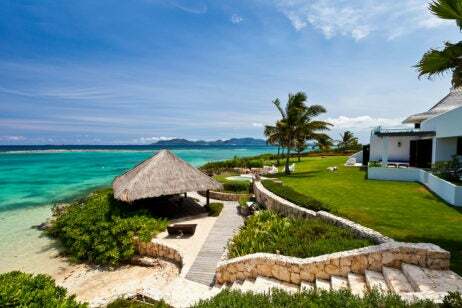 This spacious property sleeps 19 and includes chef, butler, housekeeping, and laundry services.